Team Up. Tune In. Turn On. 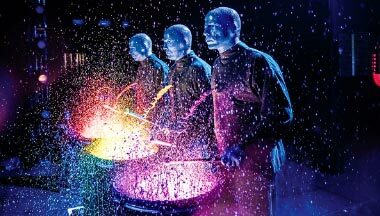 Share the crazy, the colorful and the cool, as Blue Man Group takes your party to places they’ve never been, seen or heard before. It’s a masterful and musical trip, led by three of the boldest, baldest and bluest guys on the planet. 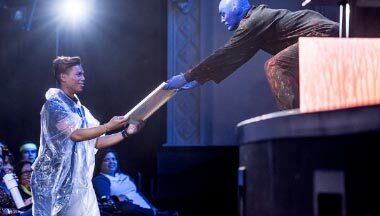 Over 35 million folks worldwide, young and old, have rocked, laughed and partied with Blue Man Group. Come share what you’ve been missing. Team up, tune in, turn on! 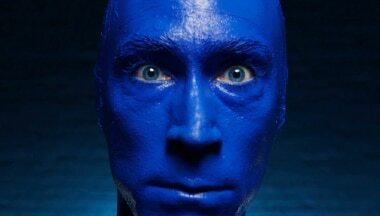 Blue Man Group. Hard to Describe. Easy to Love.